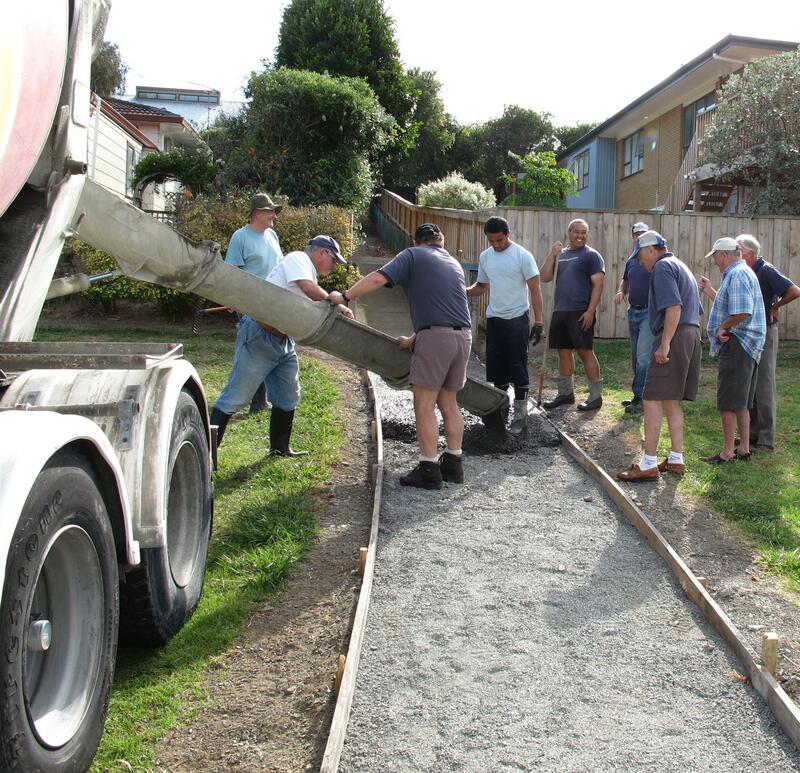 The Rotary walkway was built and laid in stages by members and volunteers of the Pakuranga Rotary with the assistance of Council and community sponsorship. It was completed in 2014 when some widening and replacing of older parts of the walkway also took place. The Pakuranga Rotary shared pathway has become a very popular walk or ride stretching 9km from Prince Regent Drive in Farm Cove to the Panmure Bridge adjacent to the Pakuranga Town Centre. 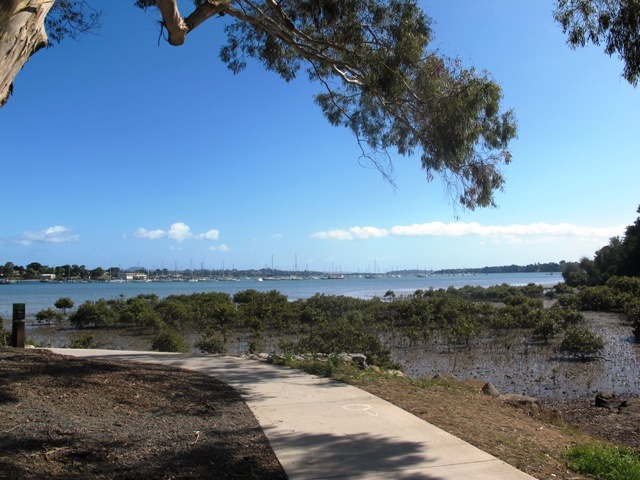 The path weaves past the Pakuranga Sailing Club and offers great views up and down the Tamaki River. The walk / rideway is well sign-posted and many well placed information panels provide historical information about the area. 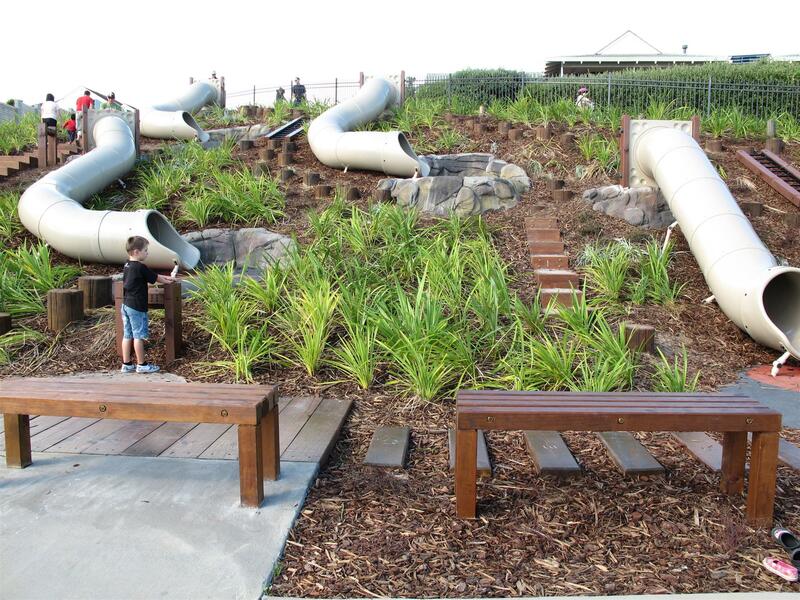 There are lots of picnic spots along the path, which is also home to the local favourite ‘snake’ playground also built by the Pakuranga Rotary. The route can be accessed from many local roads in the area by connecting paths. The Half Moon Bay ferry is also only a short ride away using quiet roads. Fantastic views of the Tamaki River. Giant snakes and ladders game on the hillside for kids to play. Information panels explaining all the historic and varied and interesting environmental features along the route. Links to Half Moon Bay ferry. It is a safe cycling, jogging and walking route. The walkway is paved and relatively flat, making it suitable for wheelchairs, pushchairs and a range of fitness levels. The walkway along the estuary is safe for family cycling.The walking route is also great for prams/buggies and dog walkers (on leash). There is also an off leash dog exercise area –The walkway passes areas of significant historical interest including mangroves and flat river plains that were used to grow oats, hay and wheat up until the 1950’s. Pakuranga was then known as “the granary of Auckland”. Near the Pakuranga end of the walk are foundations and remanants of the old Panmure bridge, once the only vehicle access to the Eastern Beaches from Panmure and Mt Wellington and other points north. Also the wharf and cattle dock built by the US Marines to berth their navy ships to supply nearby Camp Bunn and the Old Sylvia Park camp (where the shopping Centre now stands) during World War two. If you haven’t experienced the Rotary walkway yet; it can form the basis of an entertaining and informative family day out.